Above, from top: The Converse Chuck Taylor All Star. The All Star ’70, evoking the decade of big lapels and platform shoes. 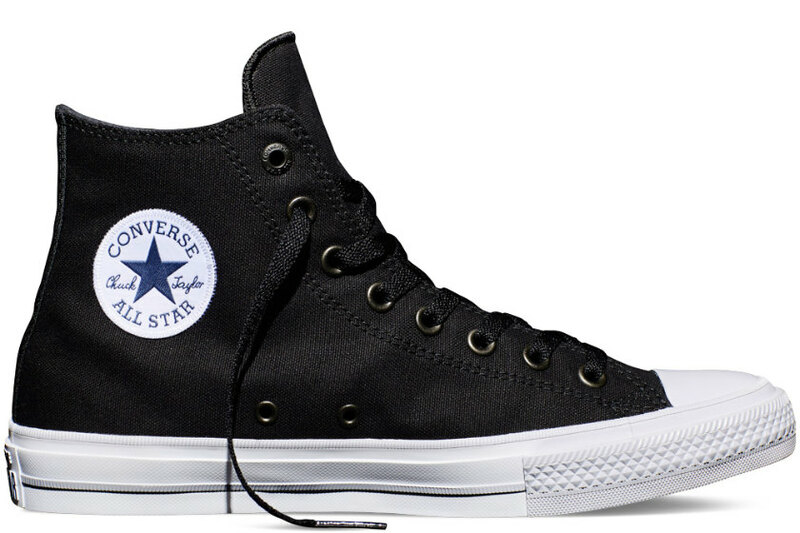 The Chuck Taylor All Star II. 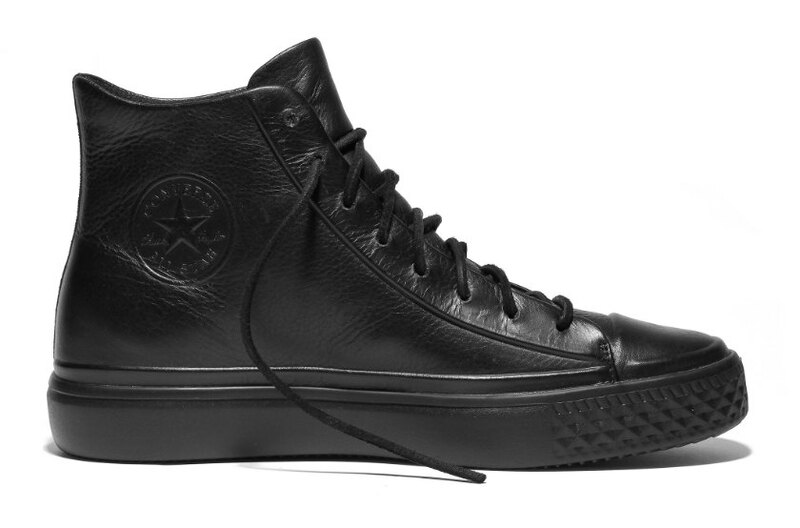 In black, the lightweight Chuck Taylor All Star Modern. 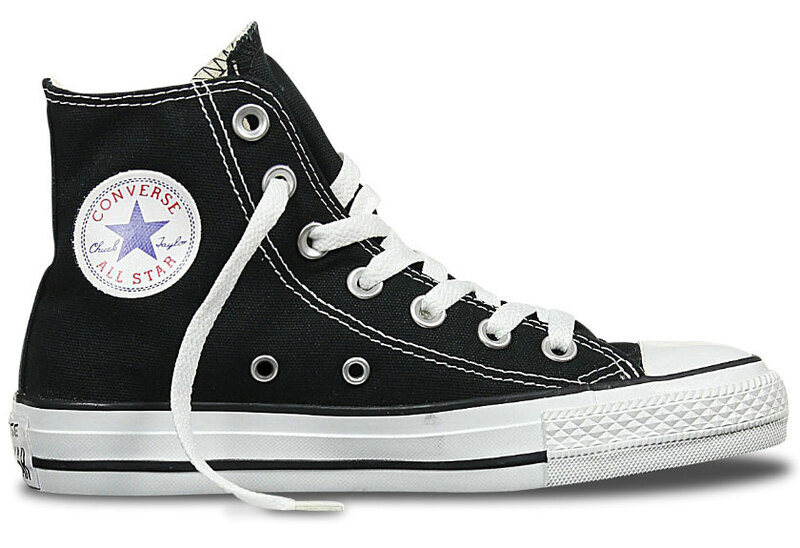 Converse, which began in 1908, has been making the All Star shoe, later the Chuck Taylor shoe, continuously since 1917. It’s the most successful type of shoe in history, with 200,000 pairs sold daily. Its nickname came after Charles H. Taylor, a basketball player for the Akron Firestones, who became one of the shoe’s biggest supporters. By 1932, with input from Taylor, it officially gained his name. 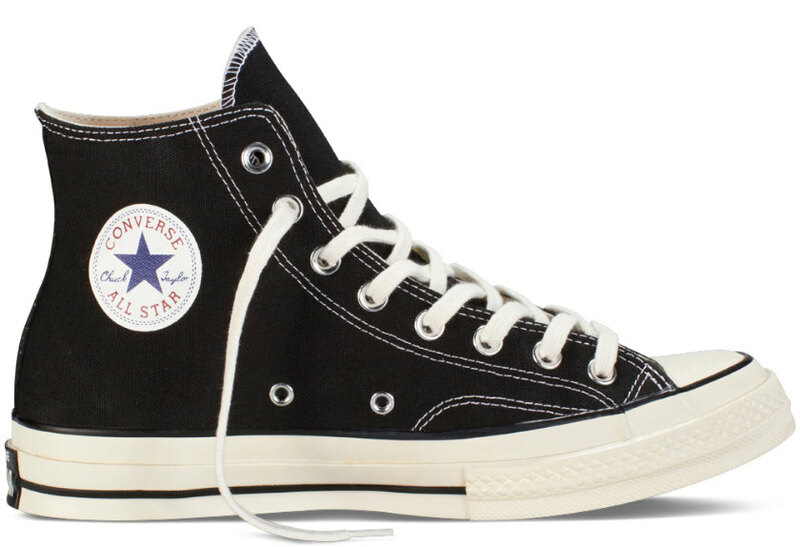 Converse has been adding variations to the Chuck Taylor shoe over the years, including the Chuck Taylor All Star II in 2015, a premium design with more colours and a liner borrowed from parent company Nike, which bought up Converse at the turn of the century. There’s also the Chuck Taylor All Star ’70s model that débuts more colours for spring–summer 2017, a design that harks back to the 1970s but with more cushioning and thicker rubber. Then there’s the Chuck Taylor All Star Modern that’s lightweight, again available in an all-new version this month. To celebrate the centenary of the All Star, Converse has launched a digital and social media series that looks at what made the line iconic. Millie Bobby Brown presents a video called Chucks in Film, with excerpts showing a previous Chuck Taylor All Star appearance (Michael J. Fox’s shoes in Back to the Future) and an interview with costume designer Stephanie Collie. Long Beach artist Vince Staples, Born × Raised creator Spanto and basketball player Jordan Clarkson discuss how Los Angeles culture impacted on the Chuck Taylor All Stars’ æsthetic. Finally, model Winnie Harlow looks at the Chuck Taylor All Stars’ connection to the fashionable set and youth culture. A final film, Forever Chuck, is a nonconformist commercial that celebrates youth and the Converse brand. The four videos are featured below as Converse marks 100 years of its All Stars.